I have already done a wish list post this month, but with there being so many things out there that I want to buy, here I go again. 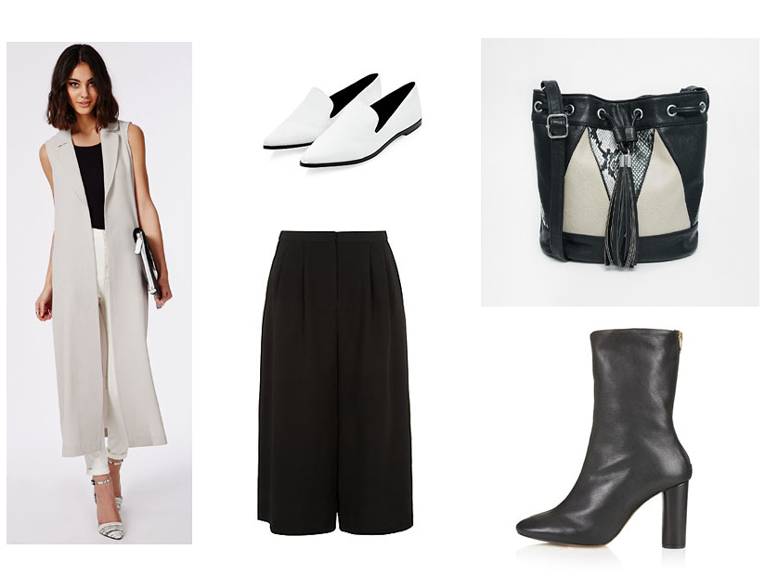 I am slightly obsessed with the pared back, modern trend at the moment. I already own a few duster coats/jackets and wide leg pants but I am yet to get my hands on culottes, and a pair of nice flats is something my wardrobe has been lacking for quite some time! I first saw these white, New Look versions on one of Lily Melrose's Youtube hauls. In the vid she rightly points out that New Look's online shoe collection is far better than it ever is in store, so I had a bit of a browse and found about ten pairs I wanted to buy that I definitely have never seen in store!